I have been following a lot of mom blogs since I had my child 16 months ago and have been fascinated at how many there are, and all of the giveaways they have, all of the sponsors they have on their sites and the many blog seminars and conventions they go to out there. The blogging world has really expanded the past 5 years for sure! 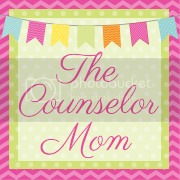 I still keep my personal family blog of photos of my child and her milestones, but I also have really enjoyed keeping this Counselor one going. I love journaling about my life as a new mom and how I fit in my counseling skills and how I make mistakes constantly and admit I am not perfect! So, with that said, I was super excited when I was contacted by a representative from a toy review company called Time to Play Mag. They invited me to a luncheon next month to introduce bloggers to their website and learn about all the new and upcoming toys! Yay! So excited to attend this event. So I clicked on a toy review to see how they reviewed them, and when I saw what toy it was, I got super nostalgic. It was the new Sesame Street playset!! They even have a video clip demonstrating it here. I had the old school one as a child and recently got it out of the garage, bleached the thing dry, and my daughter has been playing with it since. Anyone else remember having this?? Much more modern and the figures are larger so they're not a choking hazard like the old ones. As for the toy reviews, they give a description, tell you what age it's for, and the website even has a 'how-to' video ad for it here. Another good thing about the website are the comments on product reviews by moms like us. I love previewing toys and what others say about them, so I know if it's worth buying or not. Other stores like Babies R Us have some of the same features on their site but are sometimes biased because they want you to buy from them, but this site gives you real opinions! I'm excited about my luncheon next month and learning more about the company. I will keep you all posted! Can't wait to hear about what you learn. The site looks pretty cool.